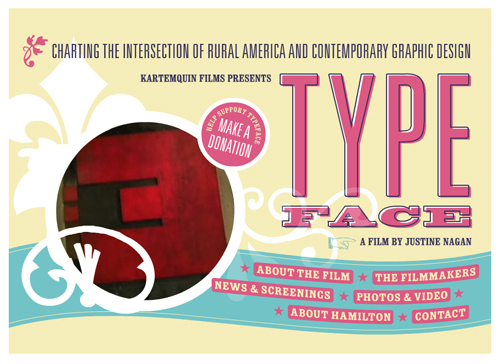 I was lucky enough to attend a sneak peak screening this evening, of a new typographic documentary: Typeface. Lucky indeed. 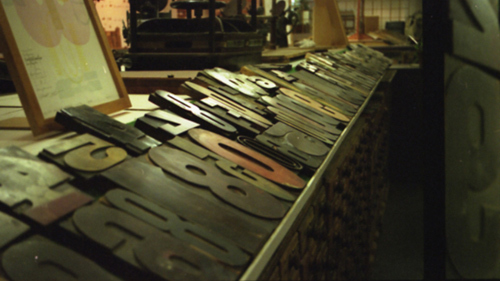 Typeface discusses the changes in the globalization of industry, and the effect of the computer and demand for faster results on the manual printing techniques which came before it. 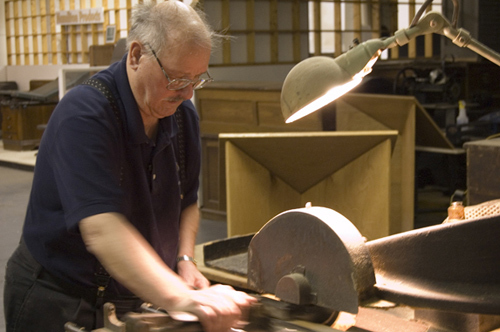 The Hamilton Wood Type Museum plays a central role, which shelters over 1.5 million pieces of wood type in rural Wisconsin. More importantly, it reminds us of the importance of the history of our profession and why we should cherish it. Be sure to check out the film’s about page for some more background. I’m sure you’re wondering if it can compare to Helvetica… While the production quality is a little rougher, I enjoyed it just as much (and granted, the editing was not fully complete for the screening). While it doesn’t have influential figures giving testimony, it does have a very humbling cast of passionate people who have lived through the evolution of the industry. I found myself chuckling quite often, while this is a documentary, it doesn’t feel like one. In the same vein as Helvetica, even those not fully enthralled with typography will enjoy it. I won’t deluge many details about its contents, but if you enjoyed Helvetica, I promise you will enjoy Typeface. It will be appearing in film festivals in the near future, I would expect showings in art theaters, and an expected DVD release in late 2009. Be sure to check it out if you have even a passing interest in typography. I’m a complete novice when it comes to ‘proper’ typography, but i bought Helvetica and loved it. I’ll keep an eye out for this too — cheers for the heads up. In the last year or two I’ve absolutely fallen in love with all things letterpress. So thank you very much for this heads up. I’ll have to keep an eye out last next year for this one! I loved Helvetica. So im sure i love Typeface, we need more of these to come out. I need the inspiration. Kyle, your website is really great, and it inpires my in many ways. I changed my blog into white background recently, and I was bit confused how to make it look nice. Now it seems i have found who I should follow. I am a self confessed typeface addict, the history, the art and I actually draw my own… so it’s awesome to hear of such a beautiful film being made! this is clear, simple and magnificent helvetica. it is different others really.